In a 2018 article in the journal The Lancet, researchers led by Andrea Cipriani compared the efficacy of 21 different antidepressants and established that antidepressants are more effective than placebo at reducing unipolar depression. To date, this is the largest meta-analysis of double-blind, randomized controlled studies of antidepressant efficacy, including 522 trials and a total of 116,477 participants. All 21 of the antidepressants were found to be more effective than placebo. 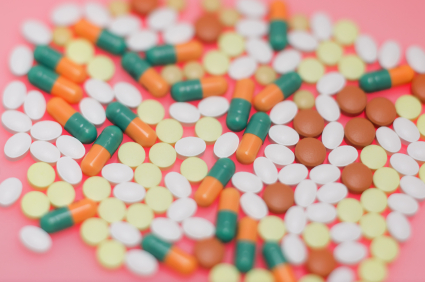 Looking at head to head studies, Cipriani and colleagues found that the most effective antidepressants were agomelatine, amitriptyline, escitalopram, mirtazapine, paroxetine, venlafaxine, and vortioxetine. The least effective antidepressants were fluoxetine, fluvoxamine, reboxetine, and trazodone. In terms of tolerability, agomelatine, citalopram, escitalopram, fluoxetine, sertraline, and vortioxetine were most tolerable to patients, while amitriptyline, clomipramine, duloxetine, fluvoxamine, reboxetine, trazodone, and venlafaxine caused the most study dropouts due to side effects. Only agomelatine and fluoxetine had better dropout rates than placebo. Interestingly, agomelatine, the medication found to be most effective and most tolerable, is unavailable in the US. Pharmaceutical company Novartis, which owns the rights to the drug, was disappointed by some lackluster studies of the drug and never applied for Food and Drug Administration approval to sell it in the US. The studies found potential problems regarding drug interactions related to the metabolic enzyme CYP1A2 and a risk of liver damage with longer-term use. Editor’s Note: This meta-analysis should end any remaining controversy about the efficacy of antidepressants in the acute treatment of unipolar depression. This study did not address maintenance treatment for the prevention of depressive episodes. Researcher John R. Geddes and colleagues have found robust, statistically significant data that continuation treatment with antidepressants can prevent depressive relapse, suggesting that if patients continue taking effective antidepressants, rather than switching to placebo, the antidepressants can reduce depressive occurrences by about 70%. It is now recommended in most guidelines that patients with two or three prior episodes of depression consider staying on antidepressants indefinitely over their lifetime in order to prevent recurrence. Antidepressants increase the creation of new neurons and brain-derived neurotrophic factor (BDNF), which protects neurons and is important for learning and memory. Antidepressants can also prevent loss of hippocampal volume. A 2018 study by researchers Elaine Setiawan, Sophia Attwells and colleagues reports that inflammation seems to increase with duration of untreated unipolar depression. 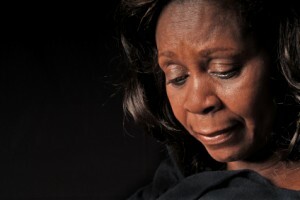 This implies that depression may be a progressive illness, and later stage depression may require different treatments than early stage depression, such as those that directly target inflammation. The study published in the journal The Lancet Psychiatry used positron emission tomography (PET scan) to examines levels of translocator protein in the brain. Higher levels of translocator protein indicate activation of microglia, the brain’s immune cells, which can respond to trauma or injury. The study included 80 participants between the ages of 18 and 75. Ten had a history of more than 10 years of depression, ten had experienced fewer than 10 years of depression, and 30 comprised a healthy comparison group. The best predictors of high levels of translocator protein were duration of untreated major depressive disorder, total illness duration, and duration of antidepressant exposure. These three factors explained about half of the variation in translocator protein levels. Those participants whose depression went untreated for 10 years or longer had inflammation levels 29–33% higher than those whose depression was untreated for 9 years or less. Participants who had received antidepressant treatment appeared to avoid an average yearly increase in the extent of their microglial activation. The study took place at Canada’s Centre for Addiction and Mental Health. Editor’s Note: Since inflammation is a predictor of poorer response to antidepressants, these data add a further neurochemical rationale to the already strong clinical rationale for earlier and more sustained antidepressant treatment and prevention. Virtually all treatment guidelines suggest that after two or three prior unipolar depressions, patients should receive long-term (lifelong) antidepressant treatment. Consensus is now also building that comprehensive long-term treatment is indicated after a first manic episode. A 2013 article by Lars Kessing and colleagues in the British Journal of Psychiatry suggested that high quality initial treatment can improve the long-term course of illness. Moreover, a 2016 article by Jan-Marie Kozicky and colleagues and a 2017 article by Christine Demmo and colleagues, both in the journal Bipolar Disorders, suggest that after a first mania, cognition recovers over the next year only if no further episodes occur in that time. A variation on repeated transcranial magnetic stimulation (rTMS) called intermittent theta burst stimulation (iTBS) may be able to deliver the same benefits in a tenth of the time. 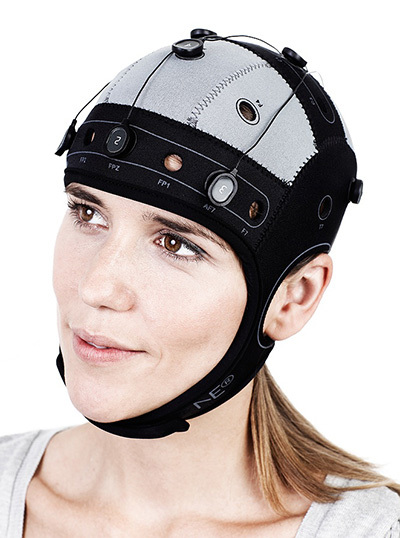 RTMS is a non-invasive treatment in which a magnetic coil placed near the skull transmits electrical signals to the brain. It is effective in depression and has been shown to improve aspects of schizophrenia, autism, and addictions as well. 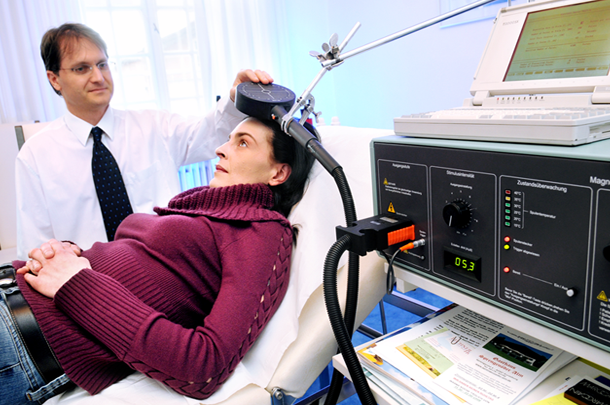 A typical rTMS session lasts for 37.5 minutes and consists of high frequency (10 Hz) stimulation. Access to the treatment remains somewhat limited, so the newer form of iTBS treatment may help more people access treatment by allowing clinicians to treat more patients in a day. The 2018 study, published by Daniel Blumberger and colleagues in the journal The Lancet, compared iTBS to standard rTMS and evaluated the effectiveness, safety, and tolerability of the new treatment compared to the old. 414 patients aged 18–65 with major depression that had persisted despite treatment with several antidepressant options were randomized to receive either iTBS or rTMS delivered to their left dorsolateral prefrontal cortex. They received the given treatment five days/week for four to six weeks. Patients who received iTBS showed a nearly identical level of improvement in depression to those who received rTMS. Self-reports of pain intensity were worse among those who received iTBS, but the dropout rate was not higher for that group. Headaches were the most common side effect reported, and rates were similar across both groups. The authors judged iTBS to be a comparable, non-inferior alternative to rTMS for people with major depression. Among participants who received iTBS, depression improved significantly, with 32 percent reporting a remission of depression symptoms. Those who received standard rTMS had a remission rate of 27 percent. In the past year or so, several meta-analyses have analyzed data from numerous studies of a possible link between antidepressant use in pregnancy and autism in the offspring. In a 2017 article in the Journal of Clinical Psychiatry, researcher Chittaranjan Andrade offers a meta-analysis of these previous meta-analyses, and determines that while there is a small link between antidepressant use in pregnancy and autism in the offspring, it is most likely the mother’s depressive illness rather than the medications that is responsible for this link. 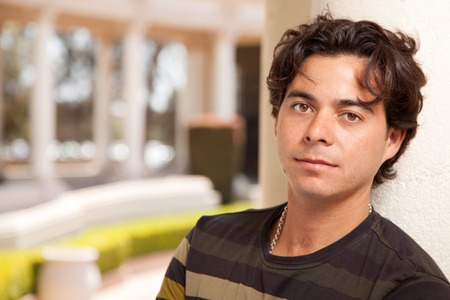 Andrade found that antidepressant exposure was linked to an increased risk of autism spectrum disorders in the offspring even when the antidepressant use occurred only before conception occurred, when it could not possibly have affected the future fetus’ physiology. This implies that it is the mother’s illness rather than the antidepressant treatment that is a determinant of autism risk. A 2016 study in the Journal of Clinical Pharmacy and Therapeutics finds that the combination of memantine (Namenda), a drug used to treat Alzheimer’s disease, and the antidepressant sertraline (Zoloft) improved unipolar depression more than sertraline plus placebo. The study by Meysam Amidfar and colleagues included 66 patients with moderate to severe unipolar depression. They were divided into two groups—one received sertraline plus memantine for six weeks, while the other received sertraline and a placebo. The memantine group showed significantly greater improvement at 2 weeks, 4 weeks, and 6 weeks, and significantly greater response at 4 and 6 weeks. There were also more early improvers in the mematine group, and more rapid response to treatment. Both groups improved significantly over the six weeks of treatment. Larger studies are needed to learn more about the safety and efficacy of memantine combined with sertraline for the treatment of unipolar depression, but this initial study is promising. In 2012, researcher Amit Anand and colleagues reported that in bipolar depression, memantine potentiates the effects of lamotrigine. Memantine also helped rapid cyclers when added to ongoing treatment in an open study of the drug treatment by Athanasios Koukopoulus and colleagues in 2012. Ketamine, an anesthetic sometimes used intravenously in the treatment of depression, can bring about rapid onset of antidepressant effects. A new meta-analysis by researcher Michael Bloch and colleagues presented at a recent conference showed that ketamine’s maximum antidepressant effects occur within one day of administration, and its effects remain significant (compared to control conditions) one week following infusion. Ketamine’s effects were diminished in patients taking other medications. There was a trend for better response in patients with bipolar disorder than with unipolar disorder. Bloch and colleagues analyzed eight earlier studies including a total of 180 participants. 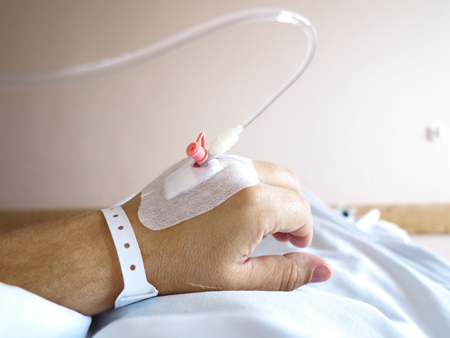 In each study, ketamine had been compared to a control condition, either an infusion of saline solution or of midazolam, which mimics ketamine’s sensory effects but does not have antidepressant effects. The researchers are calling for more meta-analyses of ketamine studies to determine which patients respond best to ketamine and how to sustain ketamine’s effects. Editor’s Note: In another poster presented at the same conference, James Murrough reported that patients with slower processing speed responded best to ketamine. Other findings have shown that those with a history of alcohol abuse and a common genetic variant of brain-derived neurotrophic factor (BDNF), the val-66-val allele of proBDNF, are more likely to respond to ketamine. In a new study of patients with major depressive disorder who did not improve after eight weeks of the selective serotonin reuptake inhibitor (SSRI) antidepressant escitalopram, the addition of the atypical antipsychotic ziprasidone improved their depression more than did placebo. Patients took the combination of escitalopram (20mg/day on average) and ziprasidone twice a day at doses of 20–80 mg. This was the first randomized, double-blind placebo controlled trial of ziprasidone as an adjunct treatment for unipolar depression. While ziprasidone was more efficacious than placebo, discontinuation of the study due to intolerance was higher among the patients who received ziprasidone. Editor’s Note: Two atypical antipsychotics (quetiapine and aripiprazole) have been approved by the Federal Drug Administration for augmentation of antidepressants in unipolar depression. Now there have also been placebo-controlled positive trials of two others (ziprasidone and cariprazine). These findings are of particular interest as the studies of ziprasidone monotherapy in bipolar depression not only failed, but response to ziprasidone and placebo was virtually identical (and negligible).